Postcard 4x6" cat set#2/3 6 pcs. 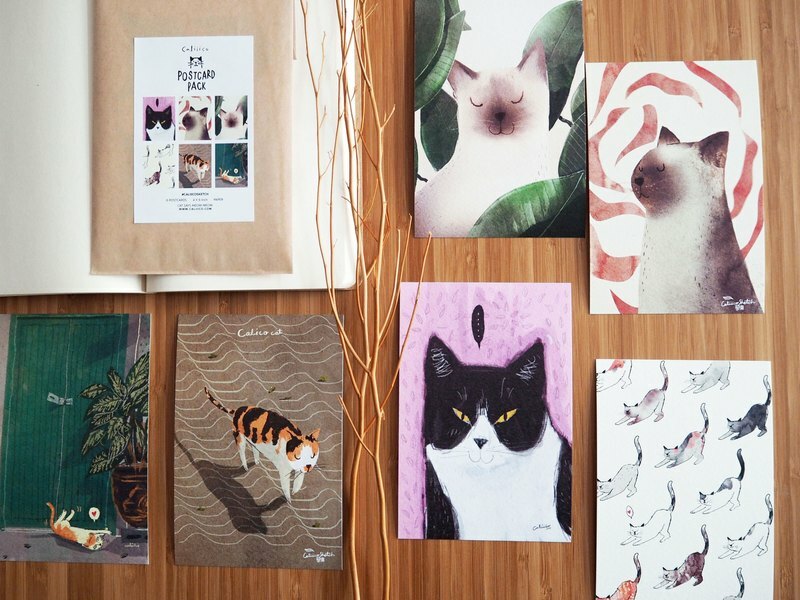 ---------------------------------------- Postcard 4x6" cat set#2/3 6 pcs. ---------------------------------------- Illustration By Caliico. Postcard set 6 Pcs. The Postcard measures 4" x 6" Digital print with Fine art paper 180 gsm. One side print.